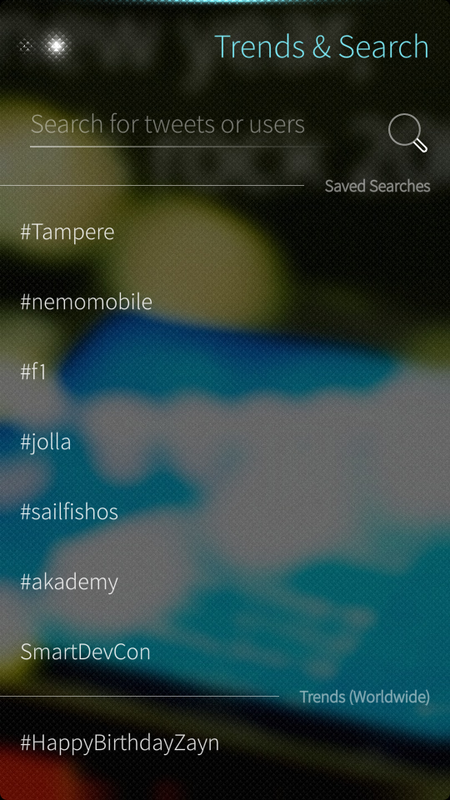 Tweetian for Sailfish OS is a port of popular MeeGo/Symbian application Tweetian to Sailfish OS. Tweetian is open source and licensed under GPL v3. Sailfish-port is maintained by Vesa-Matti Hartikainen (@veskuh). Tweetian for Sailfish OS is based on original Tweetian version 1.8.3. Hi veskuh, last release 2.0.0 is great, well done! Do you know if the "conversation" function could be implemented? thanks for this app. I find the User Information page difficult to access. Especially to check for favorites or followers and so on. Could it be at tab? I think I now have found a workaround for this and will finally be able to fix it in the next update. also can u add a option in other user profile - tweet@xyz in pulley menu? Thanks for the time format fix. Should have asked for it already on N9. You also added the "Keep the timeline" option. Nice!!! Seriously this apps rocks, beautifull and ergonomically designed! The only thing that miss me, is the memorisation of the position on the timeline. 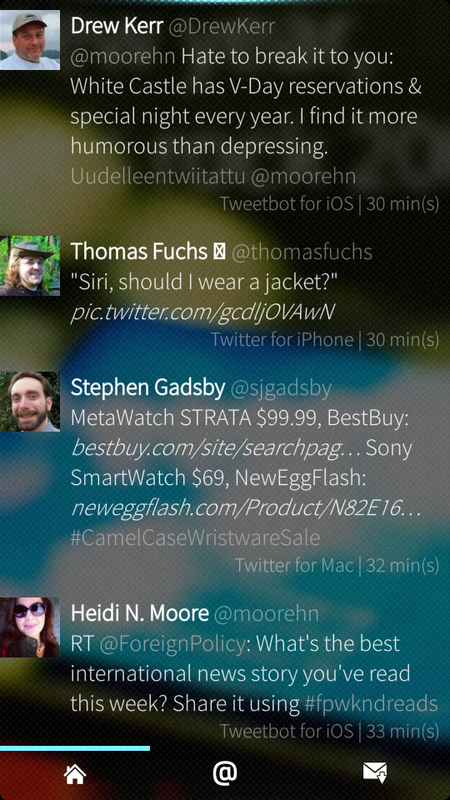 With that feature it will be easiest to read the tweets missed after a refresh or when the apps was switched off. Tweetian rocks! But there are two things I miss. A possibility to change what web-browser you use, when pressing on a link. And I really would like an option to change the time format used on the timestamp for older tweets. am/pm is ancient stuff. Thanks! 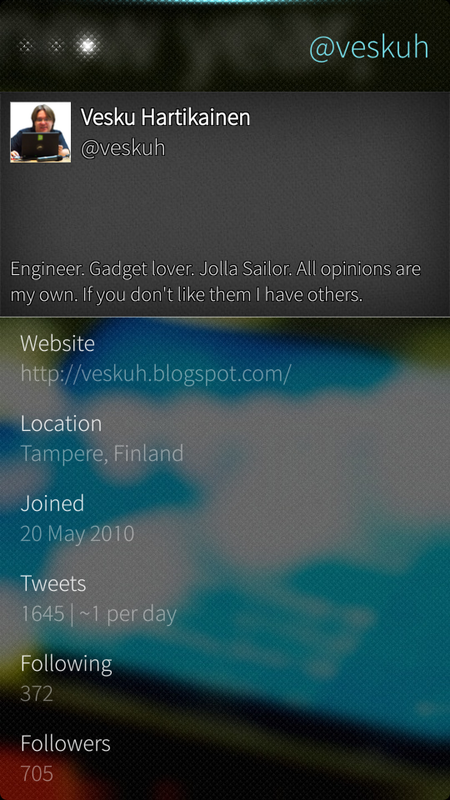 I have noticed one thing, though - Tweetian has the 'Refresh' cover option on the left while official Jolla apps (Browser, E-mail) have it on the right. Could you switch them, so it matches the official apps? Tweetian has been translated on Transifex. Do you plan to use that repository ? The translations that are in Tweetian upstream are utilized, but we have had to add few new strings since some functionality that was behind icon is now behind pulley menu. So currently the UI is a mix of localized and non-localized content. Was looking for this app - tx for adding it to openrepos !